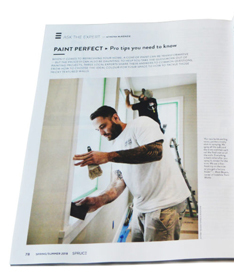 Ivan was recently asked by Spruce Magazine to contribute a “Pro Tip” for their March 2018 issue. Click here to read the article. 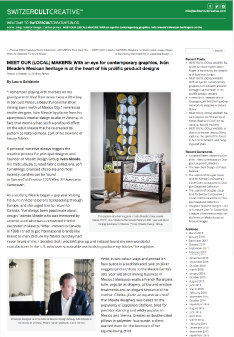 Ivan Meade was recently featured by Switzer Cult Creative as one of the most influential local makers. The article discusses Ivan’s design work, ranging from his fabric line to his decadent collection of chocolates, to the brand new line of luxury candles.